Tomorrow I will go back and pick out new glasses. I was going to quilt it – but I haven’t because deep down I think it should be hand quilted. She gave me a great deal….just what she paid for it. 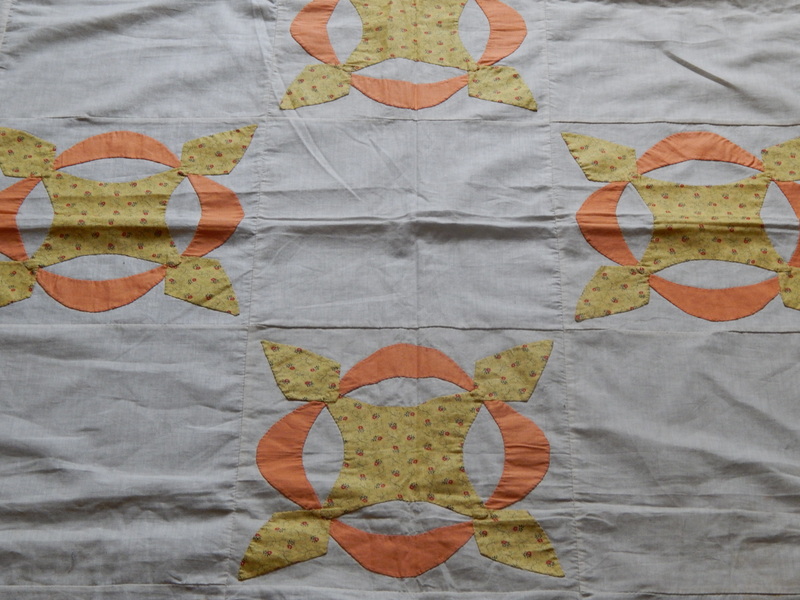 Lisa is an amazingly talented long arm quilter ….see her website here and her Facebook page here to see some of here great work. The block is called “Hickory Leaf” or “The Reel”…as well as several other names. 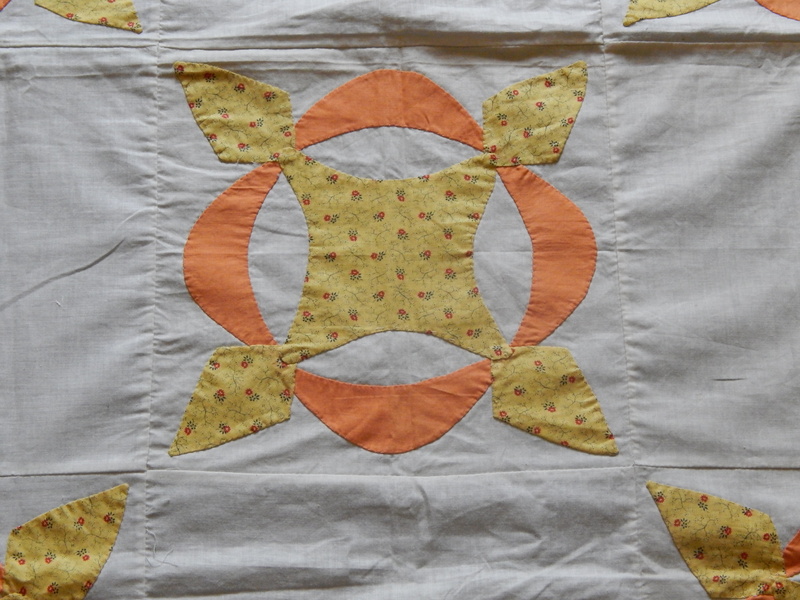 Lots of space to do quilting in the plain alternating blocks. I am looking forward to doing this one….it doesn’t need any repair work!! 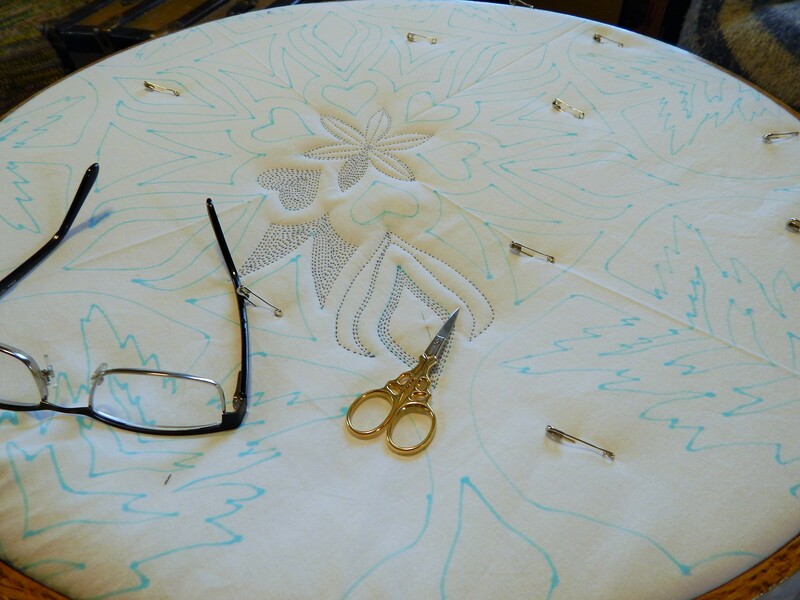 I started a bit of hand quilting on the Snowflake whole cloth. I am using Blue 40 weight thread (Presencia brand) and wool batting (Hobb’s Tuscany) and a #11 John James between needle. 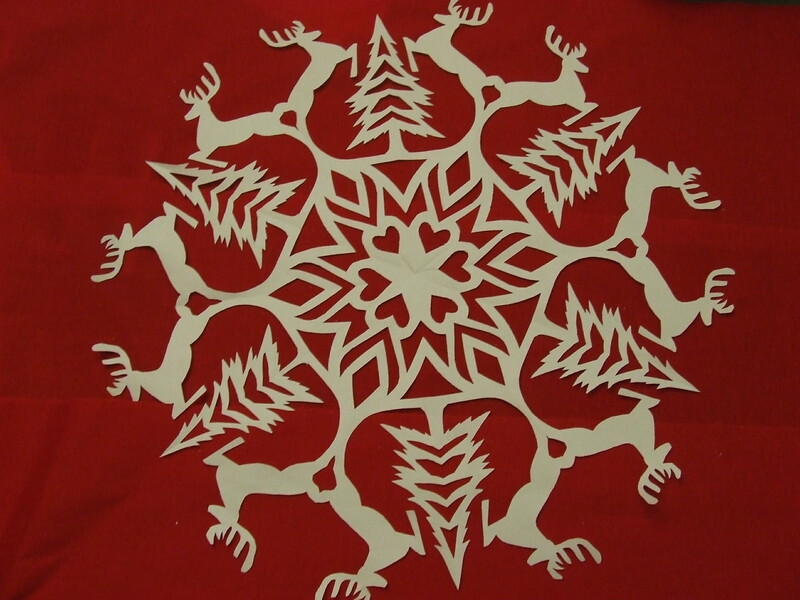 if you look at the snowflake you can get an idea of how I will quilt it. 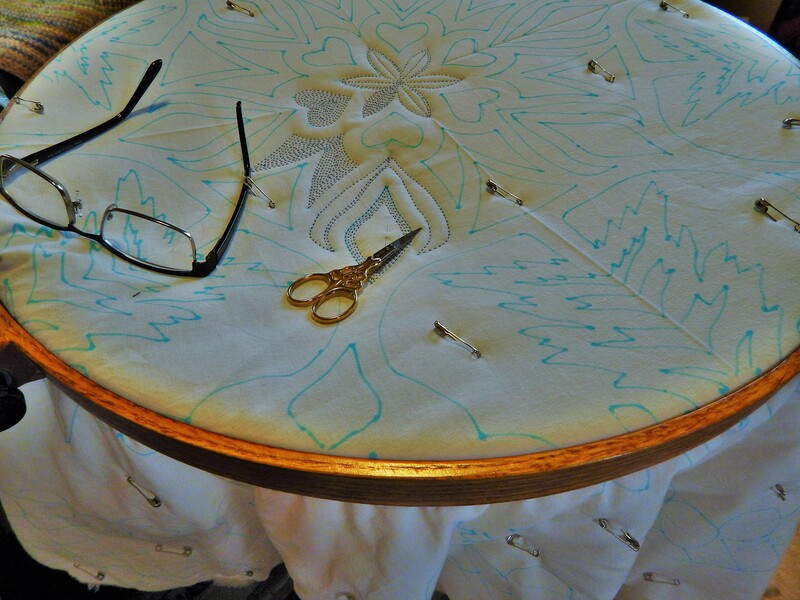 Everywhere you see the red background will be densely quilted with blue thread causing the white parts to stand out. so think of the red as blue … the only difference is that I added a flower in the center to fill the space. This entry was posted in Quilts and tagged antique quilt top, hand quilting, Quilts, vintage quilt top, whole cloth quilt. That quilt top is wonderful, love the colors. Your snowflake is going to be a beauty, already you see the dept of the quilting. Do you always pin bast ? When I do it the pins get always in the way with the hoop. Just beautiful! What type of batting are you using on this one. I don’t think I could live without reading and quilting either….hope your eyes stay good for years to come!! The quilt is so lovely! Have fun deciding on how your going to quilt it! 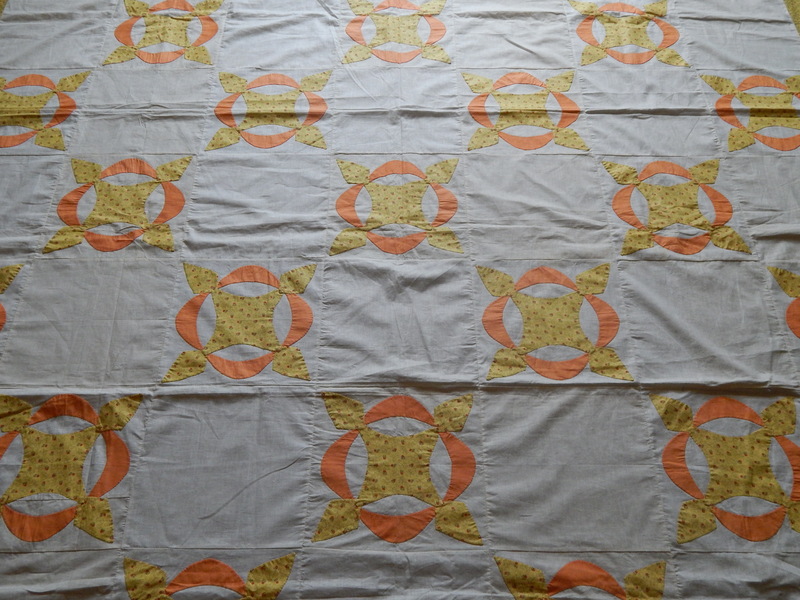 Whole cloth quilt is going to look wonderful! Have a great weekend quilting . Your work is truly inspirational. I love your hand quilting. I’ve never hand quilted any thing larger than a pillow, but I may have to change that and put a hoop on a quilt and get busy. 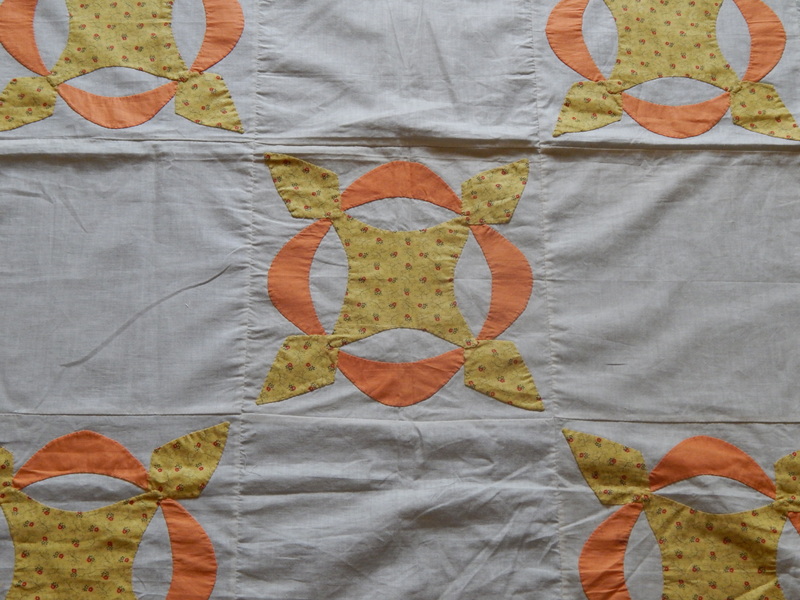 Thanks for sharing your lovely work and your antique quilts. Thank you! and Happy quilting!! Can’t wait to see the progress on both quilts. The colors and fabric on the Hickory Leaf are great! I’m a new follower 🙂 Will you be selling the snowflake pattern? It is so intricate, I would love to try it. Glad to hear you had some good news from your eye examination. Our eye sight is precious. . Your snowflake pattern is absolutely gorgeous. Will look forward to future pictures. Thanks!! I am always nervous when i go for an exam…so far I have been lucky. It’s beginning to look a lot like Christmas! Or maybe winter….nice snowflake! I love the new top.It will be spectacular when quilted. The whole cloth is awesome. 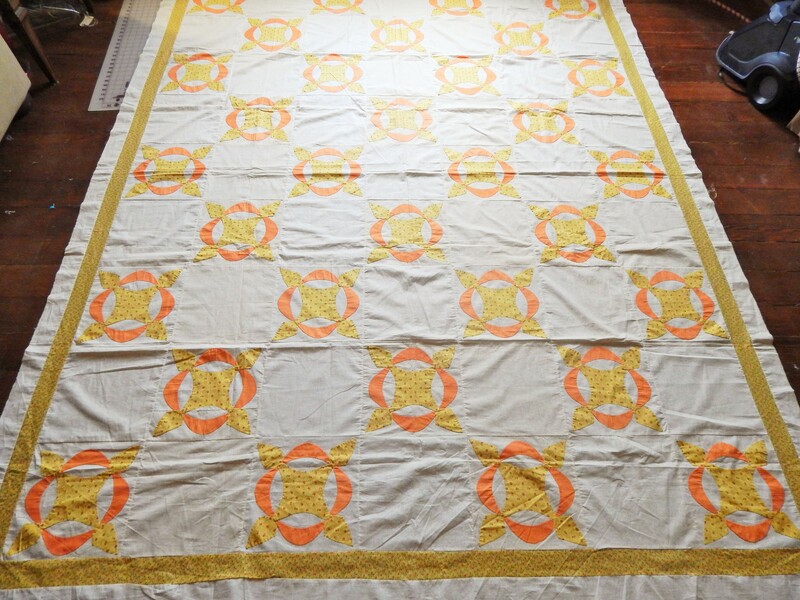 How did you transfer the design to the fabric? thanks….i look forward to quilting it! If you can’t see today- how about weeding ? Just kidding ! Tim, I am truly fascinated with your beautiful work!! Amei os trabalhos, principalmente o bordado… poderia me indicar ou me explicar como se faz ? já procurei mas não encontro o tutorial. I am sorry but I don’t understand the question. 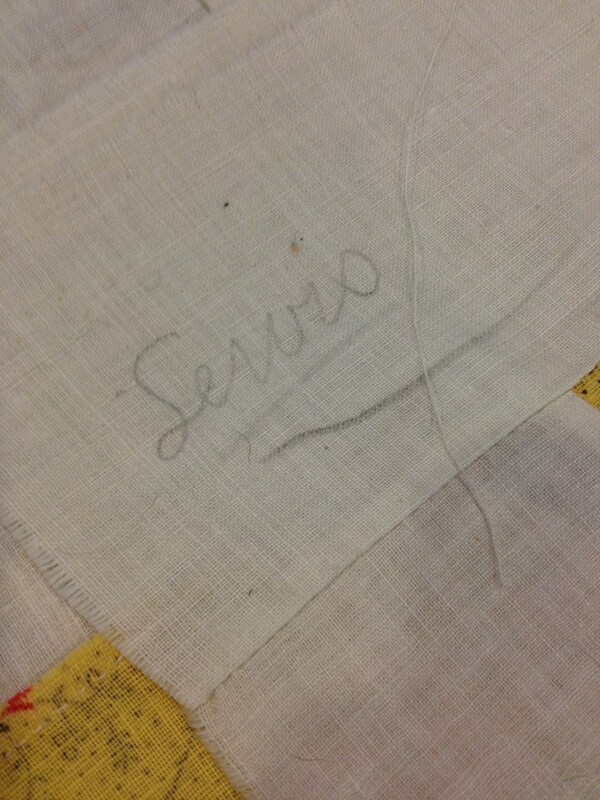 what embroidery ?